This is the virtuous association between aquaculture and market gardening. This technic allows us to produce both fishes or crustaceans and vegetables in the same system. We reduce of 90% our renewal of water because we use it both to produce fishes or crustaceans and vegetables. Besides, we are using almost no fertilizers because we only need to feed our fishes or crustaceans that will fertilize, in turn, the vegetables ! One of the specificity of Agriloops is in the mastery of this technique for the first time in salty water. This way, we produce aquaculture marine species, such as shrimp, and more gustatory vegetables thanks to our specific environment.. 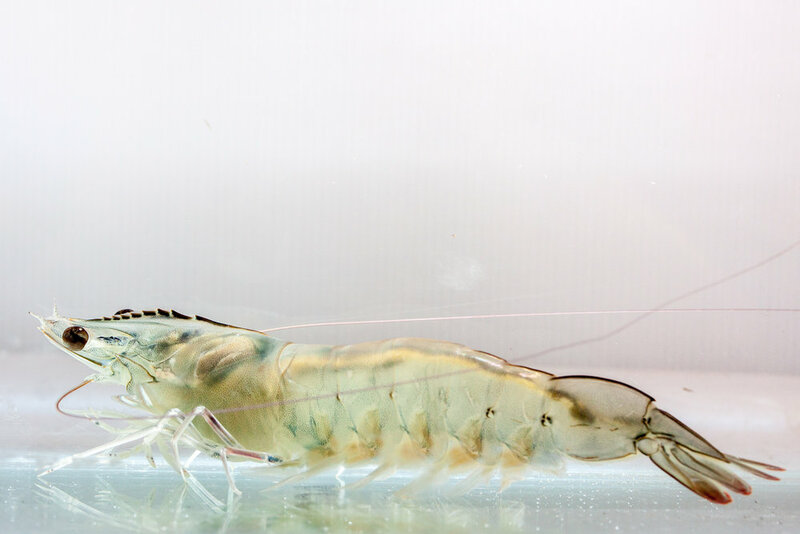 Thus, we develop aquaponic farms that allow us to produce both jumbo shrimps and fresh vegetables. To maintain our livestock and our crop in healthy conditions, we are developing and using different systems of control, monitoring and automation.